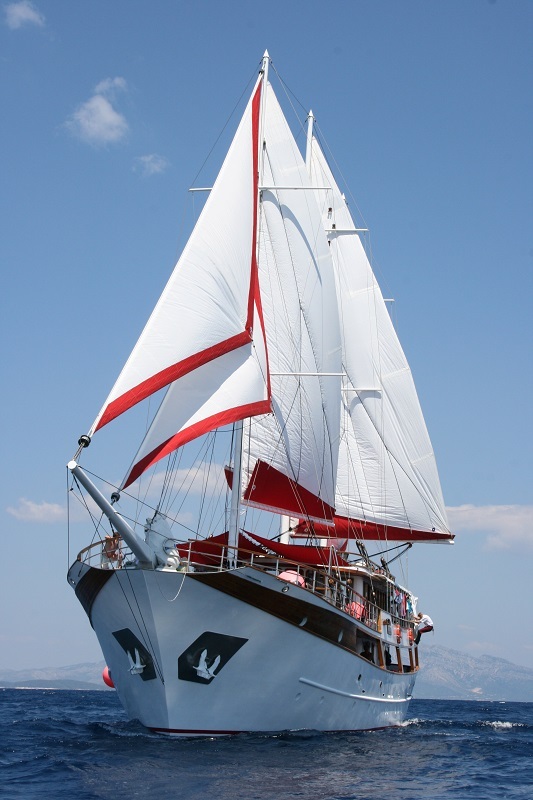 Chartering a cruising vessel - gulet or a motorsailer - provides the complete experience of the Adriatic. This is a very popular way of sailing on the Croatian coast due to numerous islands and islets that are so close to each other. 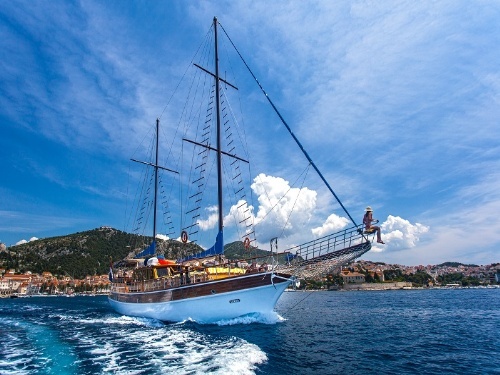 This romantic and carefree cruising is a great choice for groups – you and your family and/or friends can charter a vessel for yourselves or share it with others (in case you only book a cabin or two on board). This type of vessels has crew that takes care of the food arrangements, maintenance, route planning and paper work (berth fees, fuel, licenses...) so that the guests can relax and enjoy their stay on board as much as possible. Standard crew consists of the captain, cook, deckhand and waiter/hostess but the exact number of crew depends on the vessels' size. One of the most popular types of vacation on cruising vessel is so called "island hopping". Those trips are combined of hiking, cycling and ship trips, which last one or two weeks. Normally you will be accompanied by one of two tour guides, who will guide you during the cycling tours and will give you an understanding of the country and its inhabitants. During your trip you will be accommodated on a motorized cruising vessel. Itinerary for island hopping has already been made ahead. There are also clients who would like to make their own itinerary and in that case they can rent one of the vessels on which they can agree with the captain on spot about their route, food arrangements and every other detail. Why gamble a whole holiday on one beautiful Croatian island when there are so many more just waiting to be explored? Don't wait, book your boat for your next summer vacation!